Shabbos is coming and I wanted to make some tahini that was a little different. I ended up with this beautiful, tasty, filled with love dish. 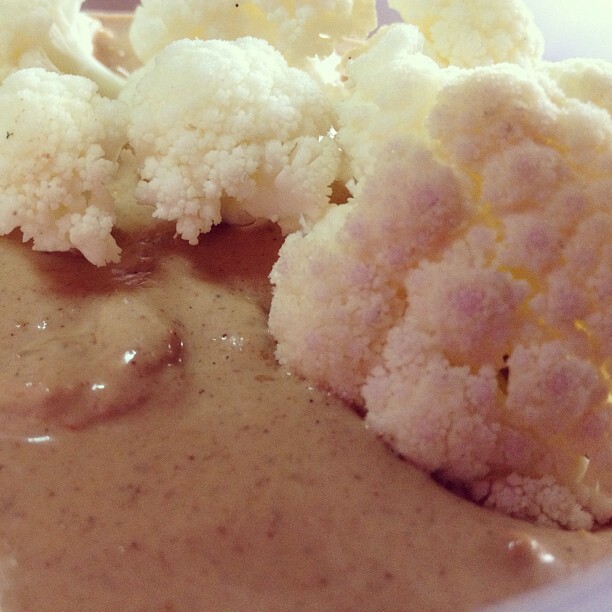 Orange Tahini with cauliflower. Chop up the cauliflower and toss ingredients together with some shredded carrots and fresh cilantro for a new salad!